Take command of the road in the 2015 Jeep Compass! Feature-packed and decked out! All of the premium features expected of a Jeep are offered, including: heated seats, air conditioning, and much more. Under the hood you'll find a 4 cylinder engine with more than 170 horsepower, and for added security, dynamic Stability Control supplements the drivetrain. Four wheel drive allows you to go places you've only imagined. Our sales reps are knowledgeable and professional. We'd be happy to answer any questions that you may have. We are here to help you. This Ram includes: CLASS IV RECEIVER HITCH Tow Hitch SPRAY IN BEDLINER Bed Liner 5-SPEED AUTOMATIC TRANSMISSION (STD) 5-Speed A/T A/T BRILLIANT BLACK CRYSTAL PEARL REMOTE START Remote Engine Start Security System 5.7L V8 HEMI MULTI-DISPLACEMENT VVT ENGINE 8 Cylinder Engine Gasoline Fuel LIGHT PEBBLE BEIGE/BARK BROWN, PREMIUM CLOTH LOW BACK BUCKET SEATS Cloth Seats Rear Bench Seat Power Driver Seat Driver Adjustable Lumbar Pass-Through Rear Seat Bucket Seats Power Outlet UCONNECT HANDS-FREE COMMUNICATION W/VOICE COMMAND Bluetooth Connection Auxiliary Audio Input MP3 Player 20 X 9 CHROME CLAD ALUMINUM WHEELS Chrome Wheels MEDIA CENTER 430 CD Player AM/FM Stereo Bluetooth Connection Auxiliary Audio Input Hard Disk Drive Media Storage MP3 Player 26Z BIG HORN CUSTOMER PREFERRED ORDER SELECTION PKG Fog Lamps Wheel Locks Steering Wheel Audio Controls Tires - Front All-Season Aluminum Wheels 5-Speed A/T Leather Steering Wheel Tow Hitch A/T 8 Cylinder Engine Tires - Rear All-Season *Note - For third party subscriptions or services, please contact the dealer for more information. * Only the CARFAX Buyback Guarantee can offer you the comfort of knowing you made the right purchase. This 4WD-equipped vehicle will handle majestically on any terrain and in any weather condition your may find yourself in. The benefits of driving an Four Wheel Drive vehicle, such as this Ram1500 Big Horn, include superior acceleration, improved steering, and increased traction and stability. One of the best things about this Ram 1500 is that it has low, low mileage. It's ready for you to truly break it in. More information about the 2011 Ram 1500: For 2011, there are over a dozen possible combinations of the Dodge Ram 1500 full-size pickup. All 1500s ride on a fully boxed frame and a rear suspension that features coils springs and multi-links with a solid axle. Once again, all trims will feature the RamBox storage system, complete with locking bins along the bed of the truck. Strengths of this model include plenty of interior storage space, powerful towing capacity, capable yet smooth ride, excellent off-road capabilities, and Bold styling inside and out *This coverage will be measured from the Manufacturer's original in service date and from zero miles and will expire at 100,000 miles or 84 months from the original in-service date, whichever comes first. This Vehicle is a Certified Pre-Owned Vehicle and has passed a 138-Point Inspection and comes with complimentary 12 Months / 12,000 miles of exclusionary coverage and 84 months / 100,000 miles of limited power-train coverage* This Jeep includes: ENGINE: 3.6L V6 24V VVT FLEX FUEL (STD) TRANSMISSION: 8-SPEED AUTOMATIC (845RE) (STD) QUICK ORDER PACKAGE 23H RADIO: UCONNECT 8.4AN AM/FM/SXM/HD/BT/NAV BILLET SILVER METALLIC CLEARCOAT *Note - For third party subscriptions or services, please contact the dealer for more information. * When you purchase a vehicle with the CARFAX Buyback Guarantee, you're getting what you paid for. With this exceptional SUV, you'll get sport, utility, and comfort. Take home this Jeep Grand Cherokee Limited, and you will have the power of 4WD. It's a great feature when you need to drive over tricky terrain or through inclement weather. You can tell this 2014 Jeep Grand Cherokee has been pampered by the fact that it has less than 53,505mi and appears with a showroom shine. More information about the 2014 Jeep Grand Cherokee: The Jeep Grand Cherokee has proven itself the premiere luxury SUV for 20 years. The latest Grand Cherokee builds on that tradition by offering civilized highway driving as well as the equipment to make a credible show off-road. The base Laredo 4x2 starts at just under $29,000 and comes very well-equipped. And the top-of-the-line SRT's all-wheel-drive on-road performance rivals that of the Porsche Cayenne Turbo, but for half the price. This model sets itself apart with high-performance SRT variant, powerful engine lineup with new diesel availability, True, proven off-road prowess, and luxurious interior *This coverage will be measured from the Manufacturer's original in service date and from zero miles and will expire at 100,000 miles or 84 months from the original in-service date, whichever comes first. This Vehicle is a Certified Pre-Owned Vehicle and has passed a 138-Point Inspection and comes with complimentary 12 Months / 12,000 miles of exclusionary coverage and 84 months / 100,000 miles of limited power-train coverage* This Dodge includes: GRANITE PEARLCOAT SINGLE DVD ENTERTAINMENT Entertainment System MP3 Player QUICK ORDER PACKAGE 29N *Note - For third party subscriptions or services, please contact the dealer for more information. * This 2017 Dodge Grand Caravan comes with a CARFAX Buyback Guarantee, which means you can buy with certainty. In addition to being well-cared for, this Dodge Grand Caravan has very low mileage making it a rare find. You can take the guesswork out of searching for your destination with this Dodge Grand Caravan GT's installed Navigation system. Added comfort with contemporary style is the leather interior to heighten the quality and craftsmanship for the Dodge Grand Caravan This Dodge Grand Caravan is so loaded out, it even comes with a premium entertainment package for you and your passengers to enjoy. More information about the 2017 Dodge Grand Caravan: The Grand Caravan was one of the first minivans to make it big in North America, and it's still one of the best. The base Grand Caravan starts under $25,000 and that brings a 6-speed automatic, heated power mirrors, keyless entry, 2-zone air conditioning, standard stability control, tire pressure monitoring and a host of air bags. EPA-estimated mileage on the highway is a strong 25 mpg. Interesting features of this model are powerful V6, comfortable ride, tons of storage space, and Versatile interior *This coverage will be measured from the Manufacturer's original in service date and from zero miles and will expire at 100,000 miles or 84 months from the original in-service date, whichever comes first. Introducing the 2016 Jeep Cherokee! Very clean and very well priced! With fewer than 45,000 miles on the odometer, this 4 door sport utility vehicle prioritizes comfort, safety and convenience. Jeep infused the interior with top shelf amenities, such as: leather upholstery, a roof rack, and a split folding rear seat. It features four-wheel drive capabilities, a durable automatic transmission, and a 3.2 liter 6 cylinder engine. Our experienced sales staff is eager to share its knowledge and enthusiasm with you. We'd be happy to answer any questions that you may have. Call now to schedule a test drive. This Vehicle is a Certified Pre-Owned Vehicle and has passed a 138-Point Inspection and comes with complimentary 12 Months / 12,000 miles of exclusionary coverage and 84 months / 100,000 miles of limited power-train coverage* This Jeep includes: ENGINE: 2.4L I4 MULTIAIR 4 Cylinder Engine Gasoline Fuel BLACK, PREMIUM LEATHER TRIMMED BUCKET SEATS Leather Seats Bucket Seats POWER FRONT/FIXED REAR FULL SUNROOF Generic Sun/Moonroof Sun/Moonroof Dual Moonroof BRIGHT WHITE CLEARCOAT QUICK ORDER PACKAGE 21G RADIO: UCONNECT 8.4 NAV WiFi Hotspot HD Radio Navigation System AM/FM Stereo Satellite Radio Bluetooth Connection Telematics Auxiliary Audio Input MP3 Player *Note - For third party subscriptions or services, please contact the dealer for more information. * When you purchase a vehicle with the CARFAX Buyback Guarantee, you're getting what you paid for. This is a well kept ONE-OWNER Jeep Cherokee Limited with a full CARFAX history report. As a Certified Pre-Owned vehicle, this Jeep Cherokee Limited offers you the peace of mind because you know it has been rigorously inspected to meet exacting standards. Off-road or on the street, this Jeep Cherokee Limited handles with ease. Simply put, this Four Wheel Drive is engineered with higher standards. Enjoy improved steering, superior acceleration, and increased stability and safety while driving this 4WD Jeep Cherokee Limited. It's not a misprint. And the odometer isn't broken. This is a very low mileage Jeep Cherokee. A rare find these days. Added comfort with contemporary style is the leather interior to heighten the quality and craftsmanship for the Jeep Cherokee Let's be honest, not everyone wants to set a course blindly into the dark. For those of us that don't, there are vehicles like this with stellar navigation systems. Rare is the vehicle that has been driven so gently and maintained so meticulously as this pre-owned beauty. Why go with a basic vehicle when you can have it all in this well-optioned Jeep Cherokee? More information about the 2016 Jeep Cherokee: The Cherokee is a compact SUV competing with vehicles such as the Toyota RAV4 and the Honda CR-V. Like the Cherokees that came before, the 2016 model maintains the tradition of competitive pricing and strong off-road capability starting at just under $24,000. While the Cherokee and its competitors are often offered with all-wheel-drive, the Cherokee offers more aggressive off-roading equipment, such as a locking rear differential. Interesting features of this model are well equipped, Good ground clearance, available all-wheel-drive, roomy interior, excellent value, and bold styling *This coverage will be measured from the Manufacturer's original in service date and from zero miles and will expire at 100,000 miles or 84 months from the original in-service date, whichever comes first. Certified. Bright White Clearcoat 2016 Jeep Cherokee Limited 4WD 9-Speed 948TE Automatic 2.4L 4-Cylinder SMPI SOHC ***CERTIFIED PRE-OWNED***, One Owner, Navigation, Backup Camera, Panoramic Moonroof, Bluetooth, Hands-Free, Leather. Recent Arrival! Odometer is 16085 miles below market average! Certification Program Details: Verified Ride Certified Pre-Owned Dan's Jeep Chrysler Dodge in greater Worcester is proud to serve Westborough, Hudson and Millbury with quality Chrysler, Ram, Jeep, Dodge and pre-owned vehicles. We carry a variety of used cars for you to choose from, all of which have gone through our detailed quality inspection before made available on the lot. To make your buying decision easier, we have priced our inventory at a Bottom Line Price. We want to make the process as easy as possible. 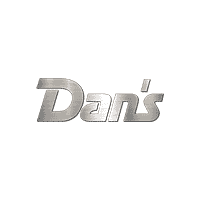 Still not clear about why so many trust Dan's Jeep Chrysler Dodge, Inc. For all of their Jeep, RAM, Dodge and Chrysler needs? Visit our dealership at 82 Turnpike Rd (route 9) Westborough, Massachusetts and find out for yourself!